Funded in San Jose, Costa Rica in 1998, 5Dimes surpasses other online bookmakers, offering some of the best odds, a 24/7 costumer service, safe payments and securitized transactions. With high performance software and unique betting options, 5Dimes gives to all its costumers on a high level of online sports betting. 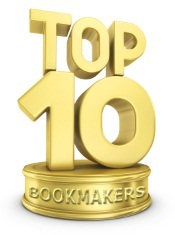 It has more sports and games than the majority of betting websites and you will always find the greatest odds. You also get the chance to do phone betting and 5Dimes offers a large variety of bonuses and big range of sports betting: American football, bandy, basketball, baseball, boxing, darts, golf, handball, ice hockey, horse racing, motor racing, soccer, tennis and water polo. You can bet on matches with 2 days before and the format of the odds is decimal or American. The minimum sum that you can bet on is of 1 USD and the maximum one of 500 USD, for online betting and 5000 USD for phone betting, at some events. You will get 50% from your first deposit, for a sum not bigger than 200 USD. You should request your bonus in maximum 24 hours and to receive it, you should play it at least 10 times. When you use the bonus to do sports betting, you will get back only your profit and not the sum you have played. You have to withdraw money only after 30 days after your first bet; otherwise you will loose the bonus and the other eventual gains. There are many other bonuses that you can receive. For example, for casino playing, you will get up to 125 USD bonus, representing 50% from the deposited sum. You have to play the bonus at least 10 times in order to receive the money in your account. You can also receive a recharge bonus, up to 500 USD. The amount of money received depends on the payment method you choose and the sum you deposit. The deposited sum must be between 250 USD and 2500 USD. The payment methods accepted are: Neteller, Moneybookers, Click2Pay, eWallet, Express, Money Express credit cards, Moneyorders or bank transfer.